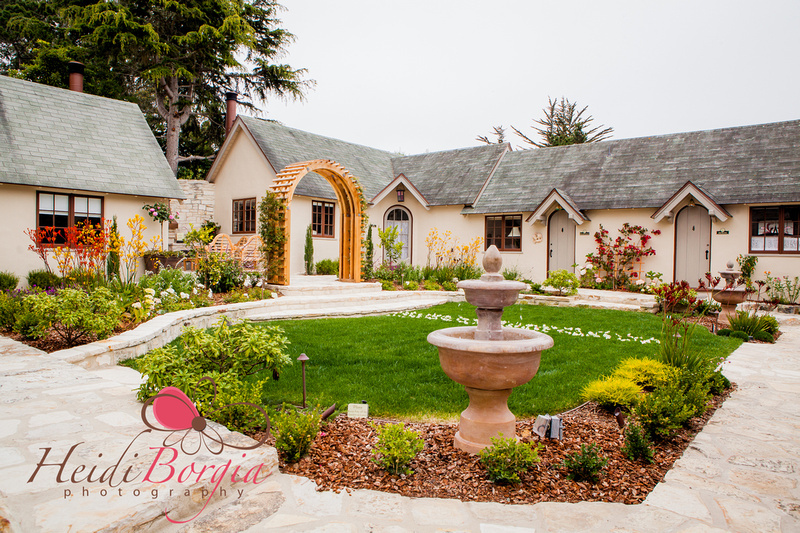 This beautiful, 11-room inn has recently been completely remodeled and features a stunning, garden courtyard with its own built-in wedding arch. Although they have a capacity for up to 50 ppl, we suggest this location for weddings with 25 or fewer people (and if it happens to rain, they have a lovely lobby area with giant fireplace that can be closed off and used). Walking distance in to downtown shops, cafes and restaurants as well as Carmel Beach. Site fee (charged directly by the Inn) is $500.